Centreville, Virginia is a suburb of Washington, D.C., and a census-designated place (CDP) in the County of Fairfax. The unincorporated community was settled by the English in the 1720s and today has a population of more than 71,000. The town of Centerville, shortly after renamed ‘Centreville’, was established in 1792 by the Virginia General Assembly in response to petitions created by local landowners. However, it wasn’t until the 1860s that the town was really noticed with the start of the American Civil War. 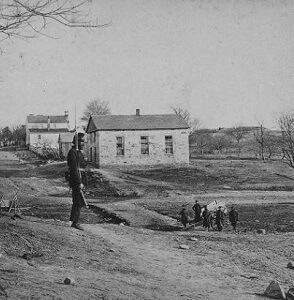 During this period, Centreville became an attractive location to both the Confederate and Union armies due to its proximity to Washington, D.C. and elevated topography. While much of Centreville’s written history begins in the 1700s, its true history begins with the arrival of the Paleo-Indians more than 12,000 years ago. By the 1720s, European settlers had arrived, and by the 1760s, they had established a village known as Newgate. The settlers came up with the name Newgate due to the popularity of the nearby Newgate tavern. Operator of the tavern, William Carr Lane, was also a co-proprietor of a local store with James Lane, Jr. The Lanes sold convicted servants. In support of the store and tavern, a community consisting of craftsmen developed. Centreville was established on the turnpike road leading from the Northwest Territory. The reason for this location is that it was centrally located to Leesburg, Fauquier Court House, George Town, Middleburg, Dumfries, Colchester, and Alexandria. Centreville was within the boundary of Loudoun County, Virginia, but eventually became a part of Fairfax County in 1798 when the boundary between the counties shifted. As the town grew, it created ½ acre town lots of residential and commercial properties including frame houses, blacksmith shops, taverns, stores, tanyards, and a school house. During the Civil War, both Confederate and Union armies occupied the town. Its strategic location on high ground between Washington and Manassas Junction, as well as its relation to the railroad systems and turnpike, made it a popular gathering place. 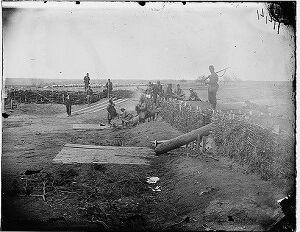 During the Civil War, several battles were fought near Centreville, including the First Battle of Manassas, the Battle of Chantilly, and the Second Battle of Manassas. At the end of 1861 and beginning of 1862, the town served as a supply depot for the war and was fortified by the Confederacy. Centreville also became famous for being the site of the first railroad construction ever built exclusively for military use. Since becoming an established town in the 1700s, Centreville has rapidly grown due to an influx of businesses, companies, and corporations. When visiting the town, take the time to check out some of the area’s most historic landmarks, such as Mount Gilead, a building constructed in the mid to late 1700s, and St. John’s Episcopal Church, the original church constructed on July 14th, 1851. The Harrison House, The Havener House, the Confederate Railroad, and The Old Stone Church are also notable historic mentions.